Congratulations go to Michael Jennings our Volunteer of the month for March 2019. 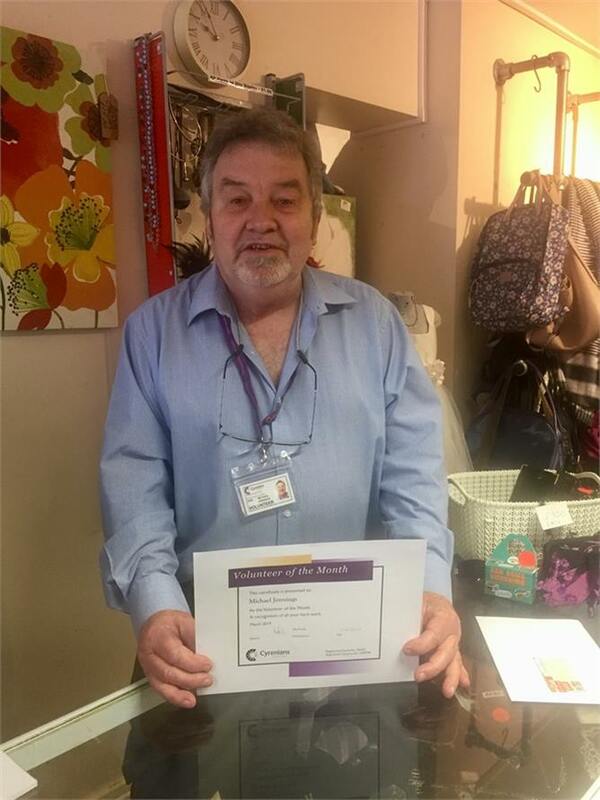 Michael has been volunteering at Windsors and Refreshed as a shop assistant since August 2018, mainly in the Furniture Emporium but occasionally to help out in Refreshed. He is a dedicated and trusted member of our team. If there is any signage to be created, or anything that needs fixing Michael is your man. He is popular with customers and fellow volunteers, a real pleasure to be around! Thank you for all your hard work mike. "I have been a volunteer at Cyrenians for just over 6 months. I have found my niche in the Emporium, probably because that’s where they put all the dusty old things and pretend that they are antiques! The Cyrenians is a good place to be part of because we have a core of dedicated volunteers that work well together as a team and we are led by the inimitable duo, Jenny and Tom".